Guzman to return for third year with club; has surgery at UC Davis Medical Center to repair tear in left shoulder cartilage. 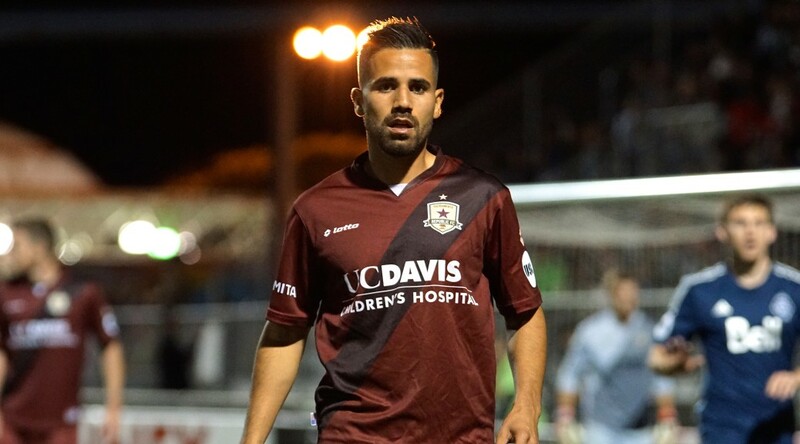 SACRAMENTO, Calif. – Sacramento Republic FC announced that they have exercised the contract option on midfielder Octavio Guzman and that he will return to Republic FC for the 2016 USL season. Guzman underwent a successful left shoulder surgery at UC Davis Medical Center on October 12. 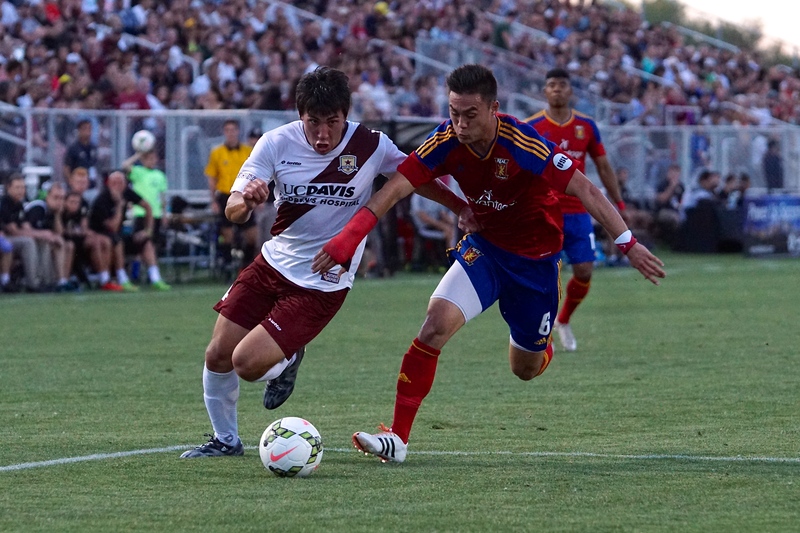 Guzman returns to Republic FC for his third consecutive season. 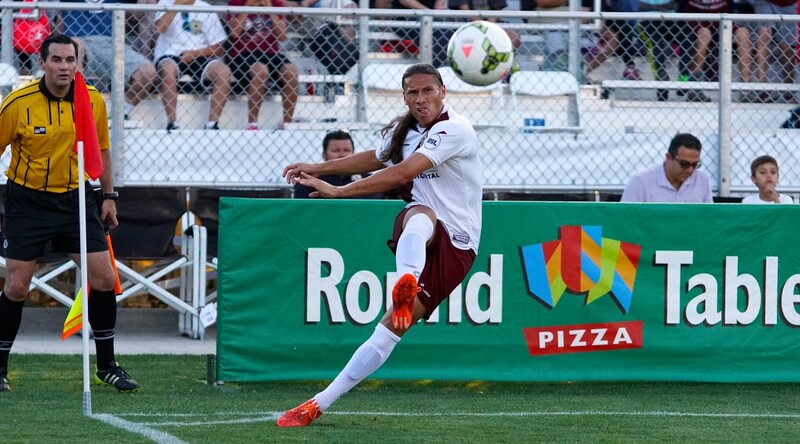 He has appeared in 57 matches for Republic FC over the last two years including 42 USL matches. 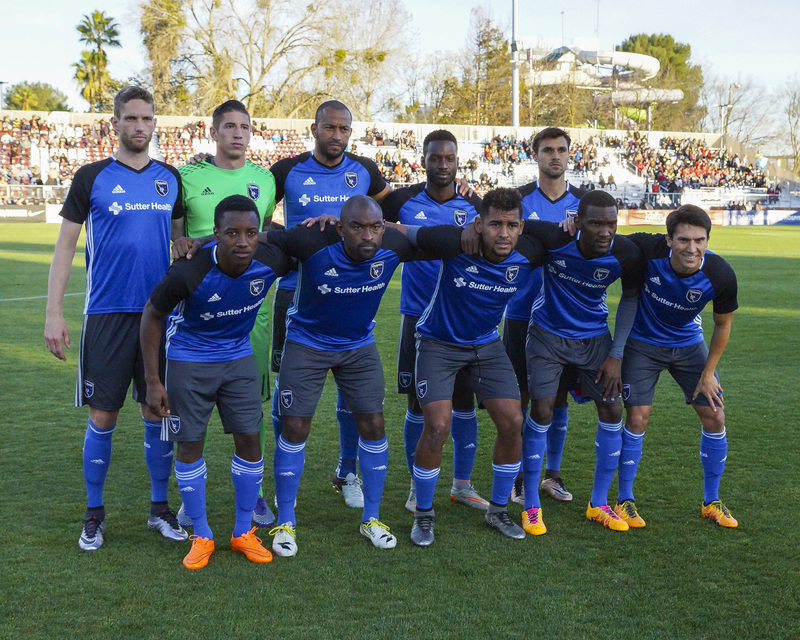 Guzman has scored five USL goals and recorded four assists in USL play, including his first professional brace against LA Galaxy II on March 28. 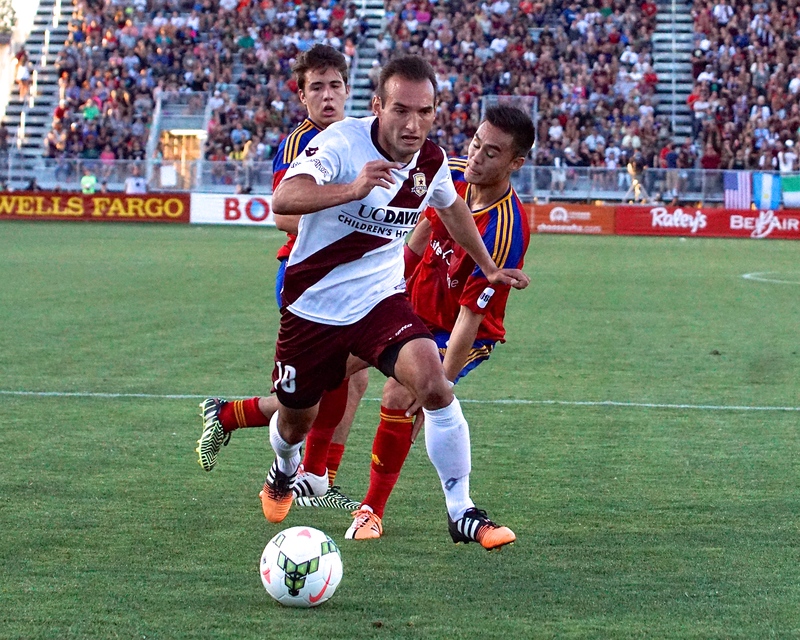 Guzman is seventh overall in both all competition (3,438) and USL (2,617) minutes in Republic FC history. 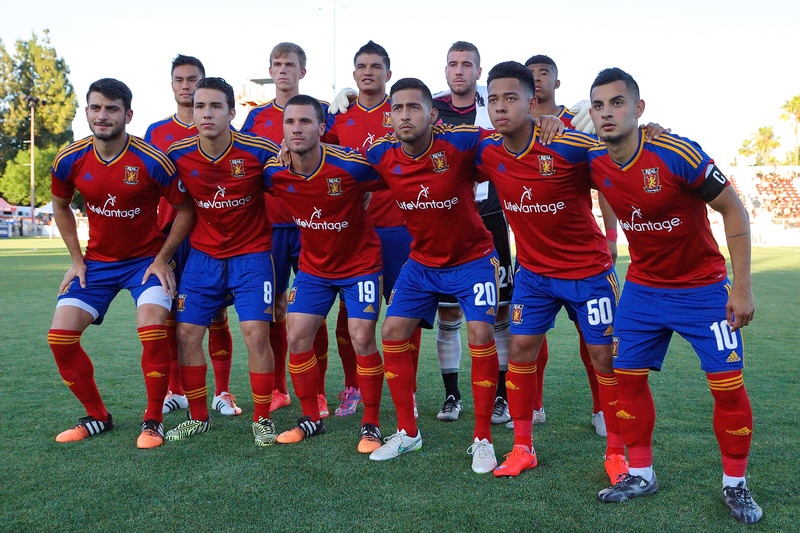 Last season, Guzman appeared in 18 USL matches, scoring three goals and adding three assists. 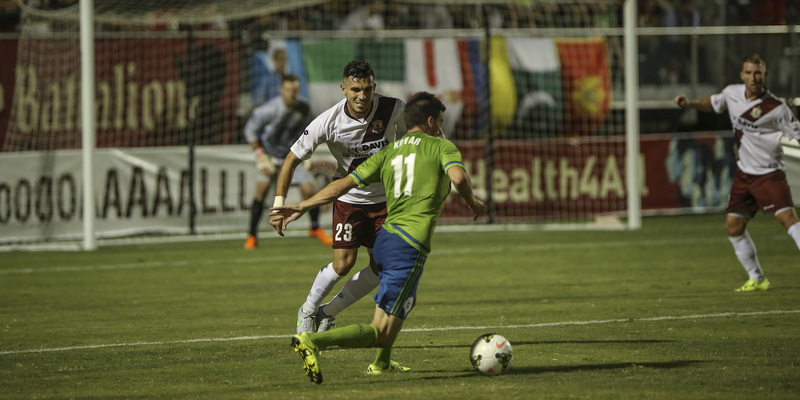 Republic FC team physician Dr. James Van Den Bogaerde performed the procedure at UC Davis Medical Center on Guzman’s left shoulder to repair a Bankart lesion, a tear in the labrum that occurs most often when a shoulder is dislocated. Dr. Van Den Bogaerde repaired the lesion by reattaching the labrum to the glenoid or shoulder joint. Guzman has begun rehab this week with Results Physical Therapy and Training Center and is expected to return in five to six months. 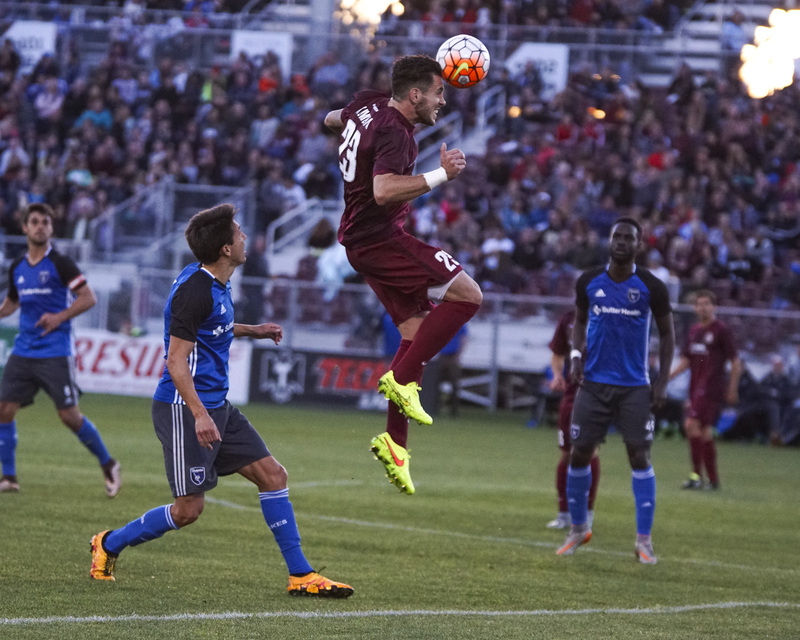 Republic FC is holding their first round of open tryouts October 31 – November 1 at Cosumnes River College. 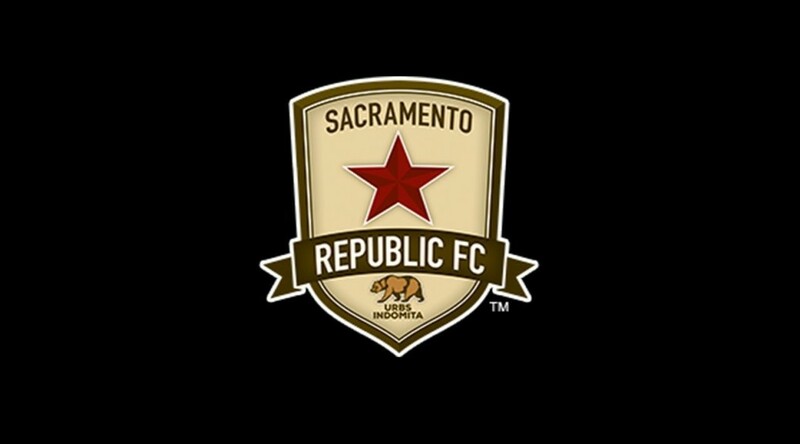 Those interesting in trying out may register at SacRepublicFC.com. 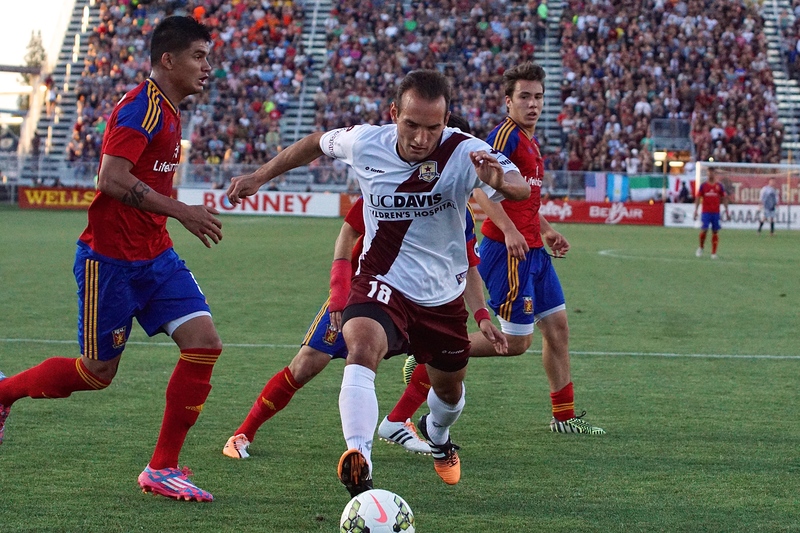 For more information on tryouts or to view full biographies and statistics, visit SacRepublicFC.com. 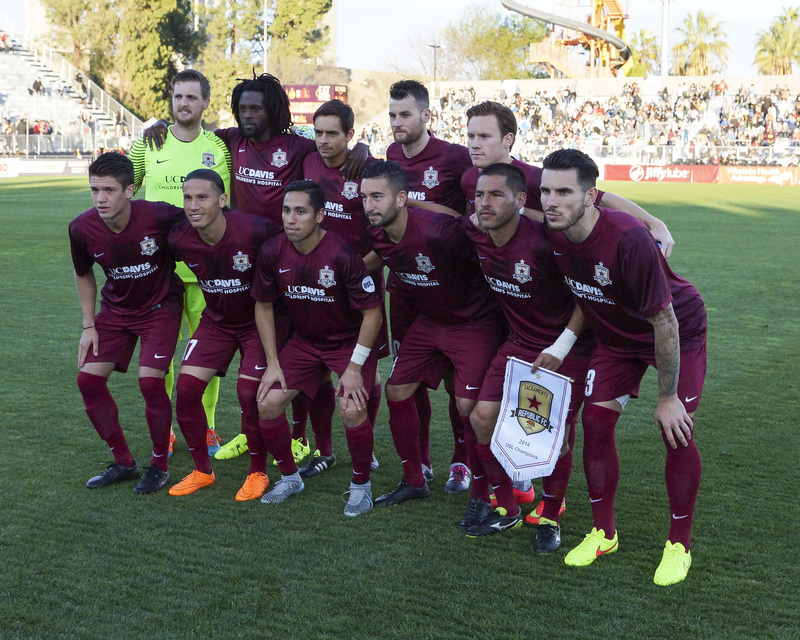 A brace by Rodrigo Lopez and two assists from Octavio Guzman lead Sacramento Republic FC past Tulsa Roughnecks FC and into first place in the Western Conference. 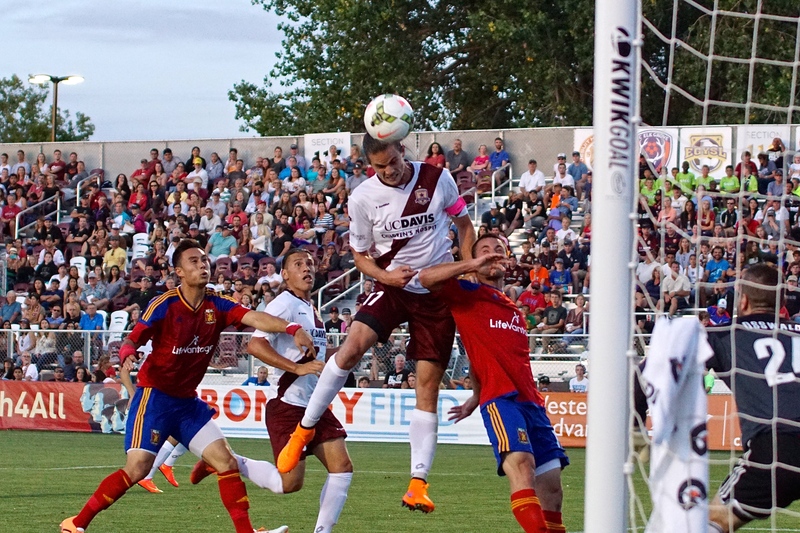 The match started slow for Republic FC as they looked to settle into the match. 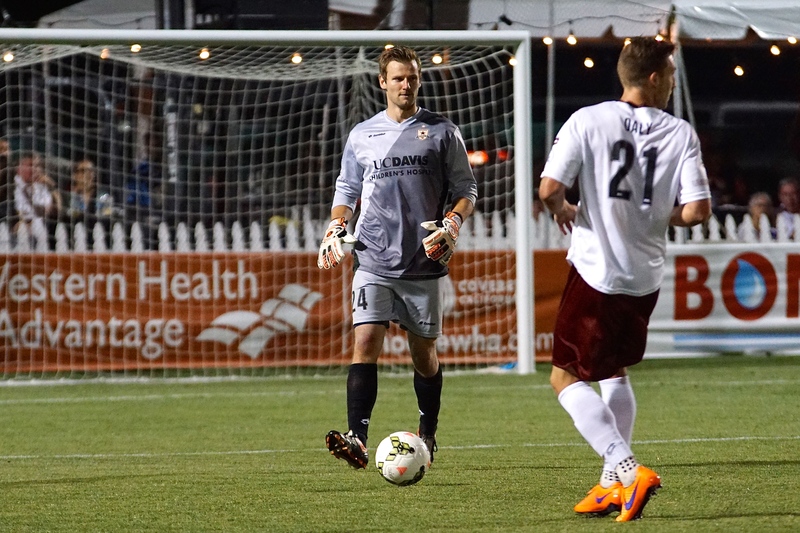 In the 9th minute, Tulsa Roughnecks FC got their first real chance at goal. 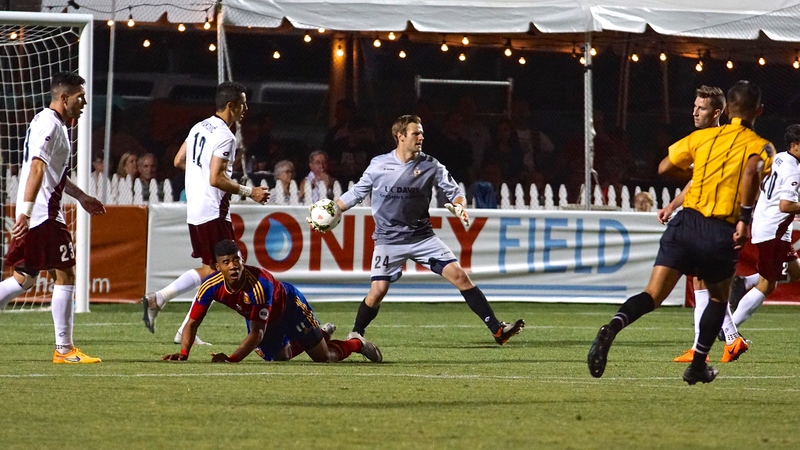 Forward Sammy Ochoa received a well-played through ball in front of the net, but Republic FC goalkeeper Patrick McLain came sliding in to make the save. 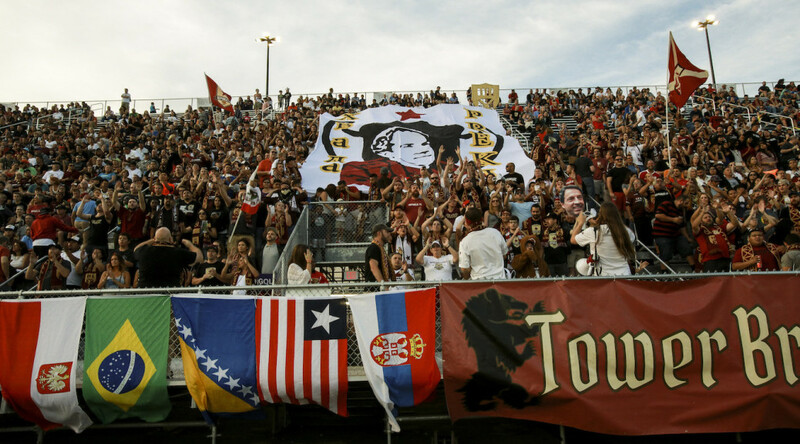 Republic FC seemed to take over after the 15th minute, dominating possession and constantly pressuring the Roughnecks’ backline. 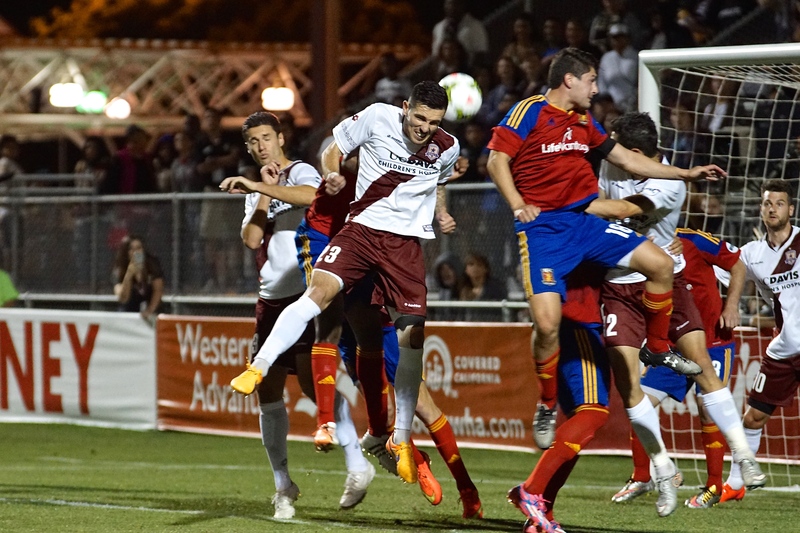 In the 20th minute, Republic FC broke through the line to take the lead. 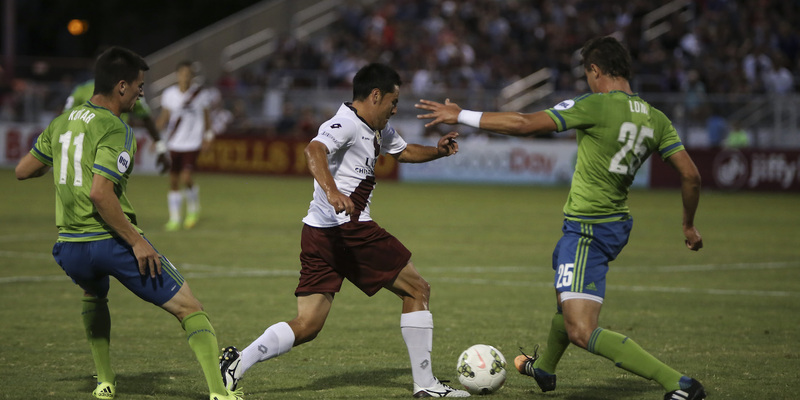 Midfielder Octavio Guzman received right outside of the box from Gilberto. Guzman took the ball to the right edge of the box before sending a grounded, square cross in front of goal. Forward Justin Braun stepped over the ball, leaving it for David Estrada, who made a run toward the ball off the back post. 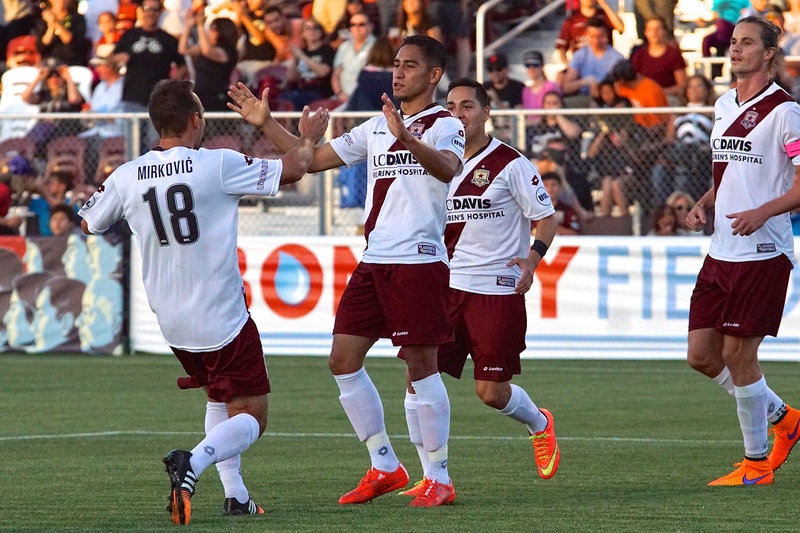 Estrada took a one-touch shot with his right foot from about three yards out, putting Republic FC ahead 1-0. 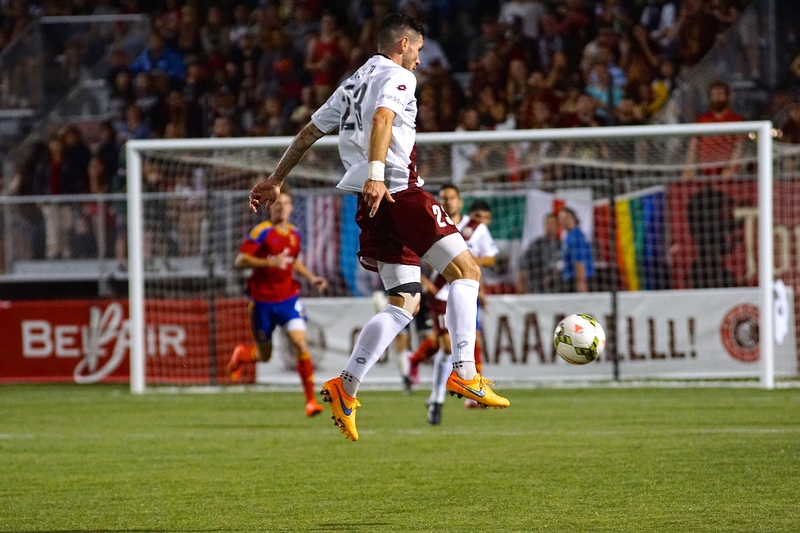 Republic FC continued to pressure the Roughnecks in the second half as they looked to double their lead. 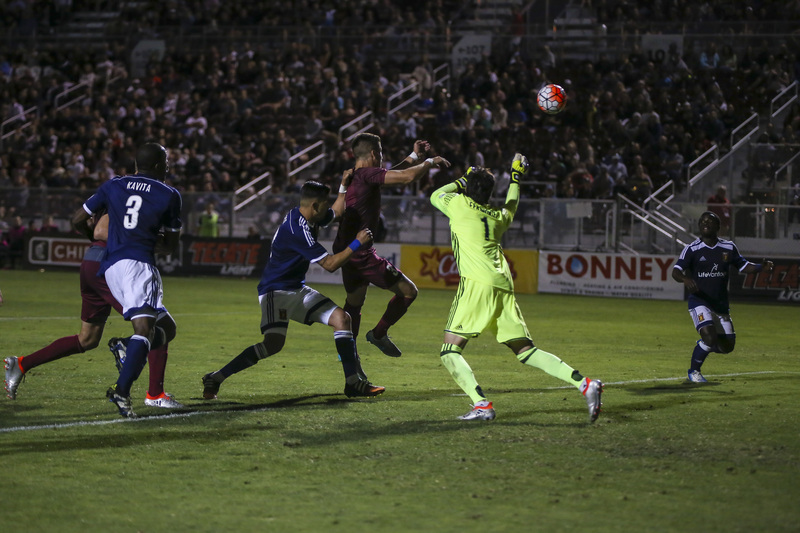 In the 37th minute, Guzman was again the crucial playmaker for Republic FC earning his second assist on the night. 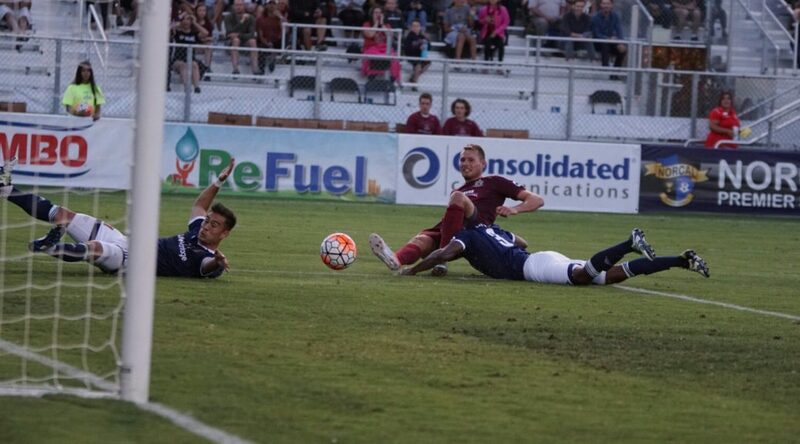 Guzman took the ball through an open midfield before sending a great through ball to Rodrigo Lopez who sent a right footed strike under Roughnecks goalkeeper Zac Lubin and into the lower left corner of the goal to put Republic FC ahead 2-0. 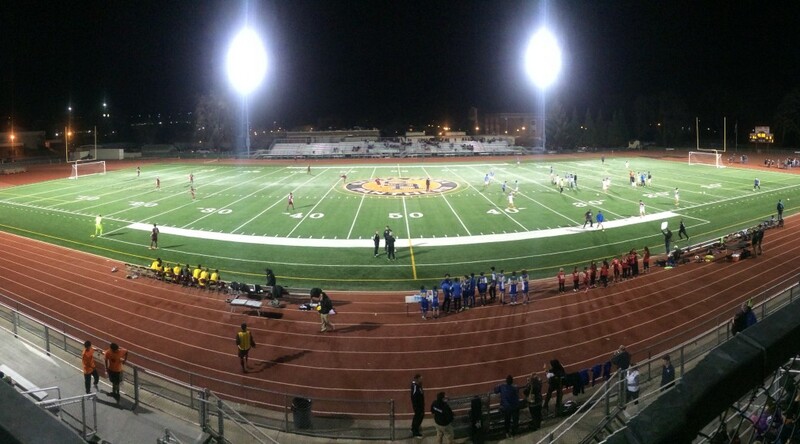 The Roughnecks had one final chance at goal in the 45th minute after a foul in the middle of the field. 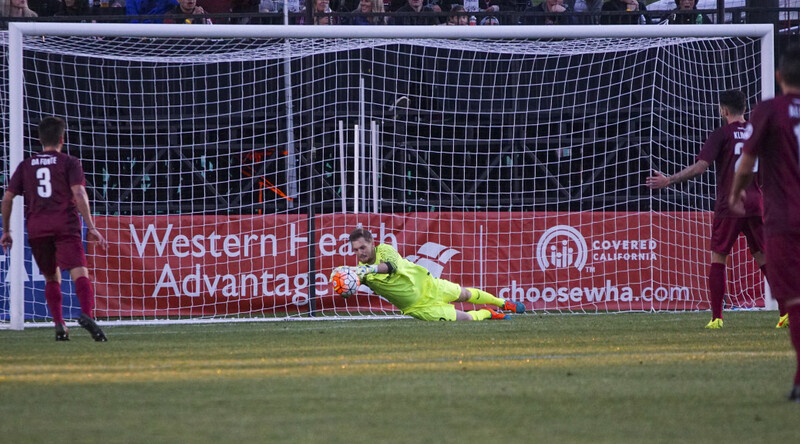 Former Republic FC midfielder Chad Bond stepped up for the Roughnecks and sent a looping ball toward the back post, but the header went straight to McLain who made the save to keep the score 2-0 going into the half. 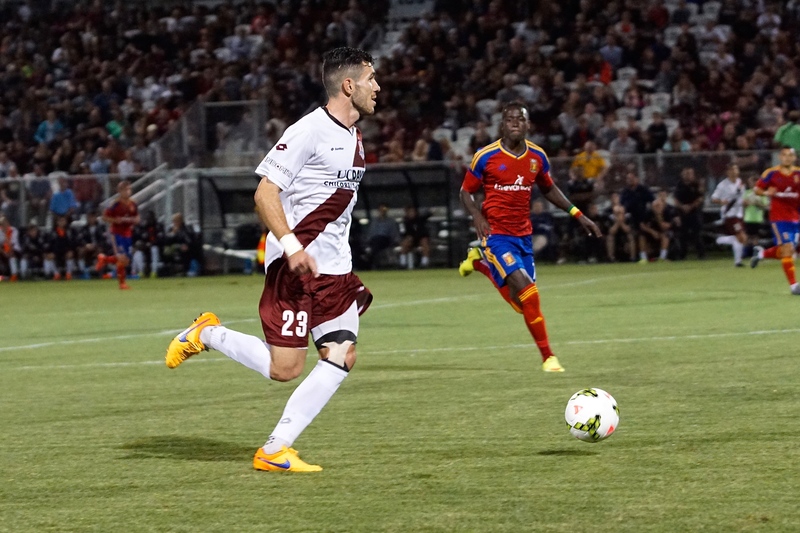 Republic FC would start the second half slowly, with the Roughnecks taking early control of the half. 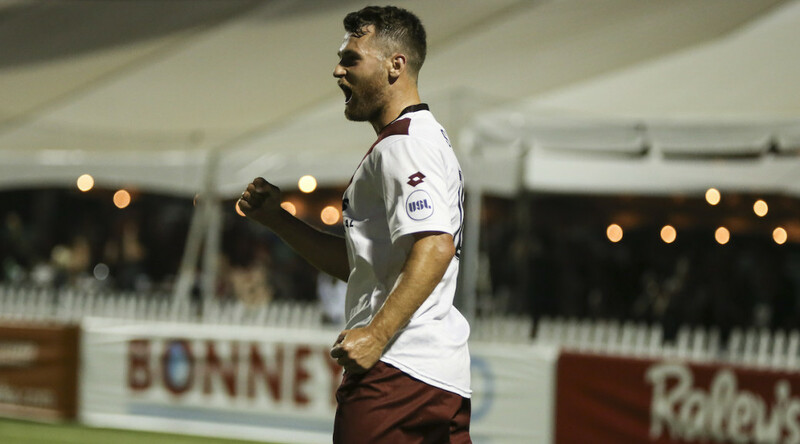 In the 48th minute, the Roughnecks would get their first real chance of the second half when midfielder Iarfhlaith Davoren sent a cross to Steven Miller whose header went off the bar. The Roughnecks would gather the rebound but the ensuing shot was deflected just wide left of the goal. 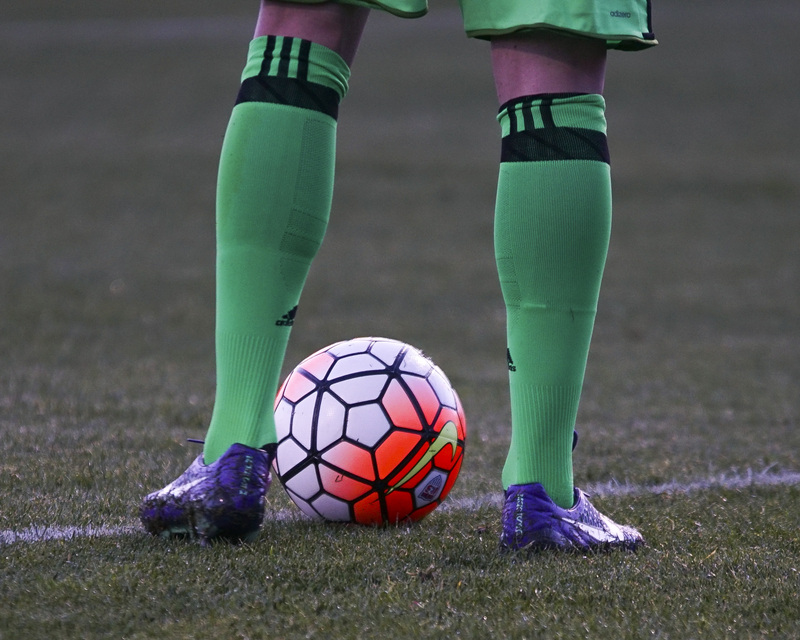 The Roughnecks would find the net in the 72nd minute. Newly signed Tulsa native Cristian Mata scored after receiving a perfectly weighted pass over the top of the defense by forward Sammy Ochoa. 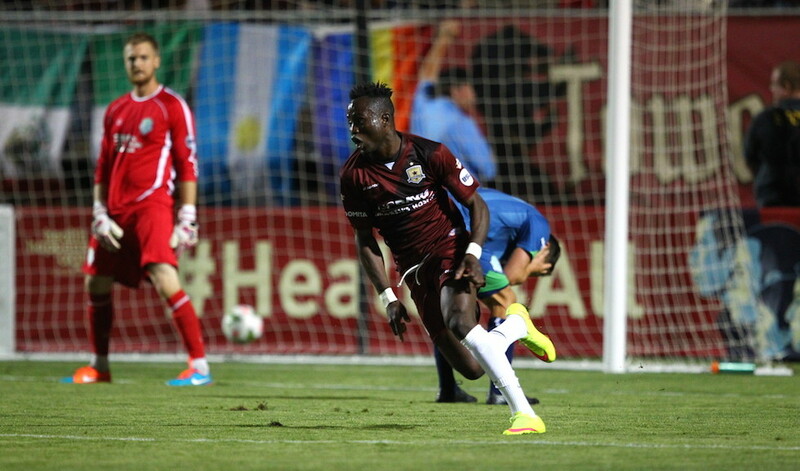 Mata, who had come on in the 50th minute cut the Republic FC lead in half, making it 2-1. 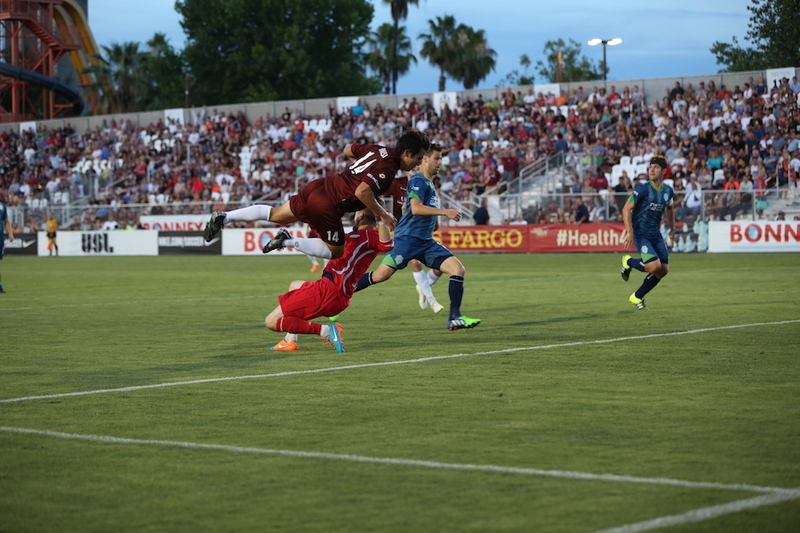 However, Republic FC would respond quickly to the goal. Midfielder Danny Barrera took a strong run down the middle of the field before being taken down about 25 yards from goal in the 75th minute. 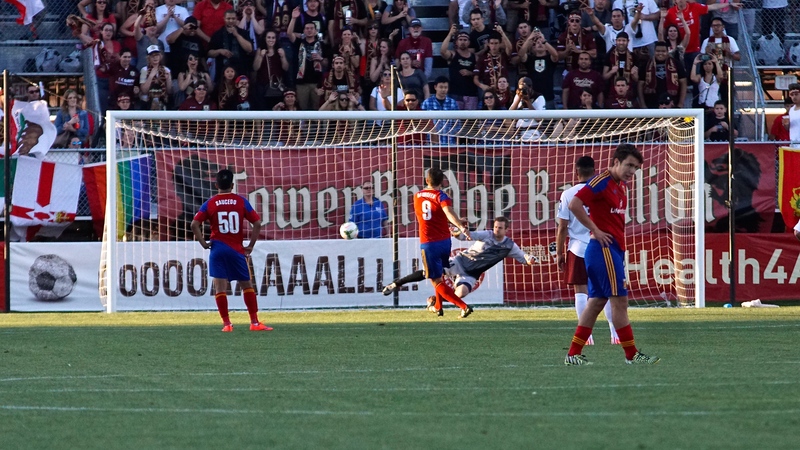 Lopez stepped up the ball and sent a textbook bending shot into the left side of the goal for his second goal of the match, giving Republic FC a 3-1 lead over the Roughnecks. 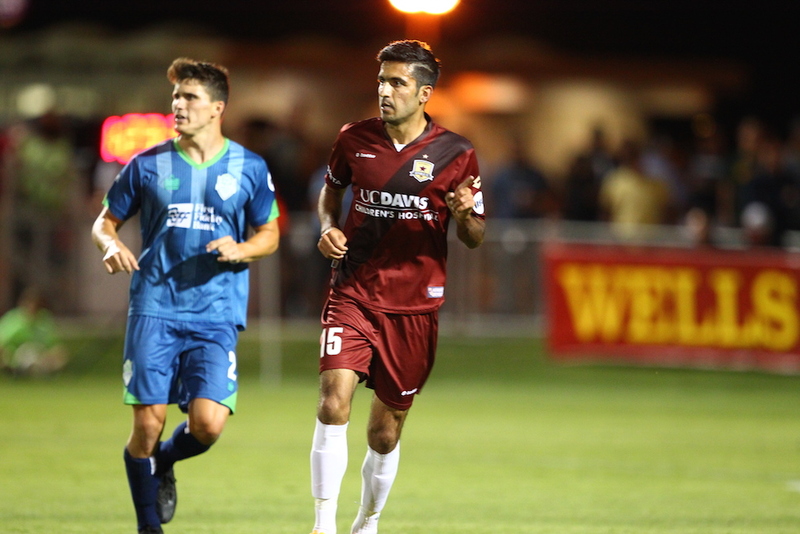 In stoppage time, Republic FC forward Kaleemullah Khan almost increased the lead further after making a nice touch near midfield. Kaleemullah then took the ball straight through the middle of the defense before sending an open shot toward goal, but Lubin was able to deflect the ball away keeping the score 3-1. Republic FC defender Emrah Klimenta needed to be helped off the field after coming down awkwardly on his left ankle in the 69th minute. Klimenta will be evaluated over the next day to further evaluate the extent of the injury. 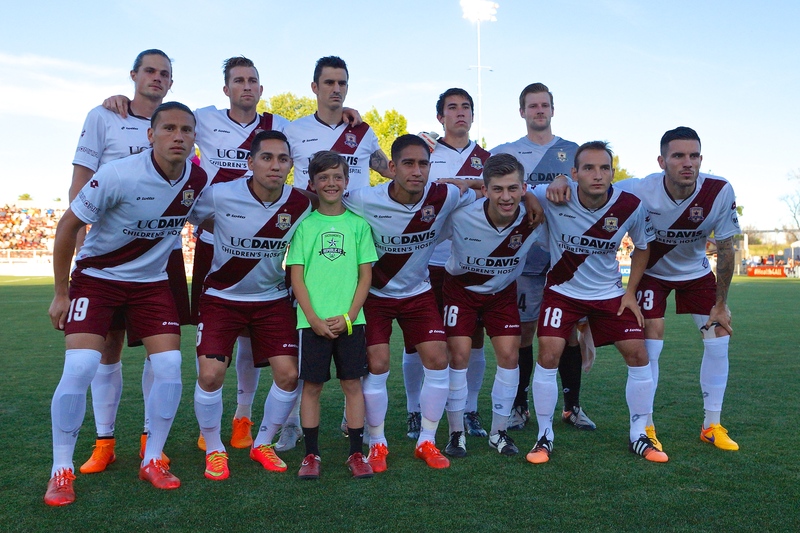 Republic FC will travel to Austin, Texas and take on the Austin Aztex in their next match on Saturday, June 27. 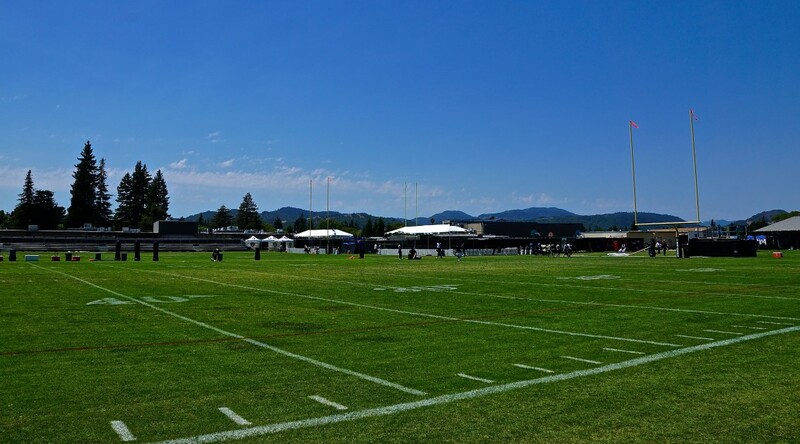 Kickoff is 5:30 p.m. PDT. 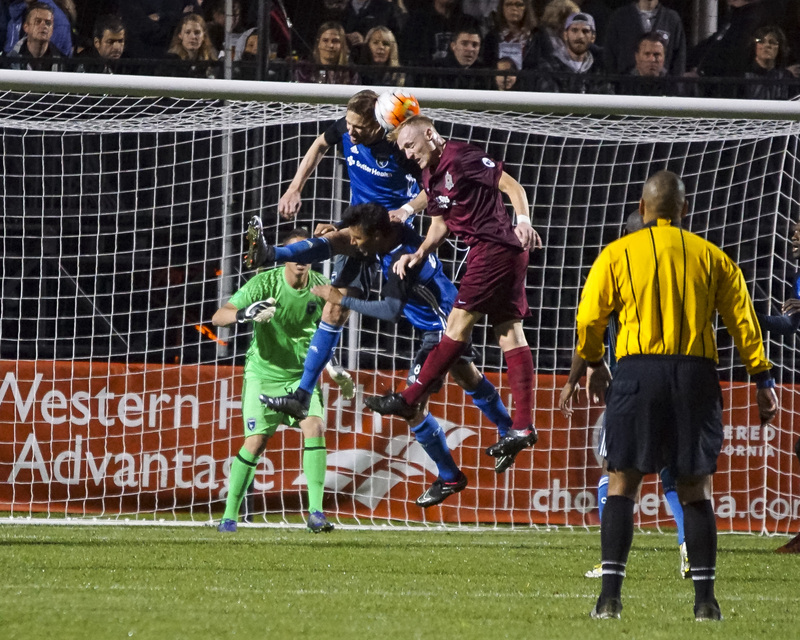 The match will be streamed live at SacRepublicFC.com/matchday.